Customs Brokerage – If your company is transporting products into the United States and/or exporting products out of the United States, your shipments will have to be processed through the U.S. Customs and Border Protection (“Customs”). When working with Customs, there are a large number of restrictions and regulations that you have to understand and navigate to get your products moved in a timely manner. If your business is not optimized to handle the Customs process efficiently, then you may find yourself suffering from delays in shipping. As an experienced customs broker, we know that these delays are daunting and often unacceptable when the satisfaction of your customer is at stake. 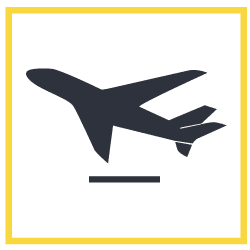 International Logistics – Getting products moved through the air and across vast oceans requires a vast understanding of the industry as well as strong management. Your business must be on top of its process to be functioning, at an optimal level, in order to satisfy your customers. If you are shipping into other countries, you need the best professionals available to care for the interests of your business and your products. Exports – Moving products from location to location when shipping outside your home country can be exceedingly problematic when dealing with shipping and tracking management. Ensuring the safe movement of your cargo is our specialty from meeting TSA standards to ensuring all the proper paperwork is filed with the right government entities and transportation partners. We work hard so that you don’t have to. You can have peace of mind and hassle-free exporting of your products when shipping through us! Consulting – Having quick access to necessary information is vital to daily operations for any business. With decades of experience as a successful Freight Forwarder and U.S. Customs Broker, we have all of the information that your business needs to succeed. Along with the proper guidance, we understand that every business is unique and needs unique solutions to help them grow and achieve their goals. Special Projects – Oftentimes simple solutions aren’t accessible for projects, calling for a unique approach. By using the latest technologies available to us, we are able to conduct research and create the best custom package to fit the needs of any project for any business. We are at our best when confronted with the challenges of finding helpful solutions for our clients. Your business needs the best services in the industry to maximize your company processes. Through years of experience, education, and training, we have become a trusted source, in the industry, by better serving our clients. This allows us to bring value to every customer that we work with in ways that other companies can’t provide. It’s time to make 2019 the year that your business gets its logistics process optimized! The information accompanying this newsletter contains confidential information belonging to the sender which is legally privileged. The information is intended only for the use of customers of James J. Boyle & Co. If you are not the intended recipient, you are hereby notified that any disclosure, copying, distribution or the taking of any action in reliance on the content of this information is strictly prohibited. James J. Boyle & Co. will also not be held accountable for any discrepant information. The service we provide is based on our "Terms and Conditions of Service", which is available upon request. You are provided this copy subject to the terms and conditions of our services. All rights reserved. Have a special shipment? We use the latest technology to research and create the best custom packages to get the project done. We are at our best when confronted with a logistical challenge, one-time project or other special need. With more than 50 years’ experience, access to the latest technology and world-class Customs Brokerage and freight forwarding expertise, we can help design customized solutions that meet your needs. For more information about how we can help you, please contact us at our office location most convenient to you. You have someone on your side that understands the rules and regulations that your cargo will need to meet in order to ensure a streamlined shipping process and expedited Customs clearance. 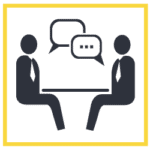 Our relationships with government agencies and gatekeepers helps to minimize delays that might be brought on by new legislation, updated requirements, or any other potential road blocks. We continuously stay up to date on industry news and trends. Our goal is to cover every logistical base making it possible for full Customs release prior to cargo arrival into port. From raw materials to processed goods, we ensure that your cargo reaches its destination in the most cost-efficient manner. We can assist you by pre-clearing your cargo, providing last-mile final delivery services to the ultimate U.S. destination, or warehousing services as your needs dictate. We will handle all of the planning and booking of your inbound and outbound cargo while giving you real-time status updates in the most efficient and transparent way possible. Our team provides the latest freight rates, whether ocean or air, to ensure the most competitive bids are secured for you. We will also manage the documentation making it a smooth process from port to port. 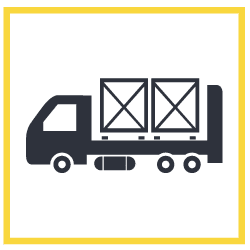 We can provide a full range of booking services, freight cost analysis, and coordination of your jobs requiring multi-modal transportation when you choose us for your logistics needs. With ever growing export regulations and special rules or sanctions on specific countries, you need an expert that can properly screen cargo to ensure it meets TSA standards and file the necessary data via AES (Automated Export System). Our expert staff will export your cargo via ocean or air expeditiously and with great care. Decades of experience as a successful freight forwarder and U.S. Customs broker puts us in the unique position to advise and consult with you as you seek to enter or expand your presence in global trade. Your regulatory and logistical needs are as unique as your business! Whether you need tariff classification advice, a binding ruling, drawback services, or assistance with an internal audit, we take pride in delivering the kind of custom-tailored services that are difficult to find in larger companies. Take the first step towards success in the world of international freight forwarding and Customs brokerage by contacting our consulting division today. Click the button below to request a quote for your customs brokerage or logistics needs. Enter your information below, and a JJB representative will contact you. READY TO LEARN HOW WE CAN HELP YOU? Please fill out the form below, and a representative will be in touch soon. SCHEDULE A JJB TRAK DEMO!